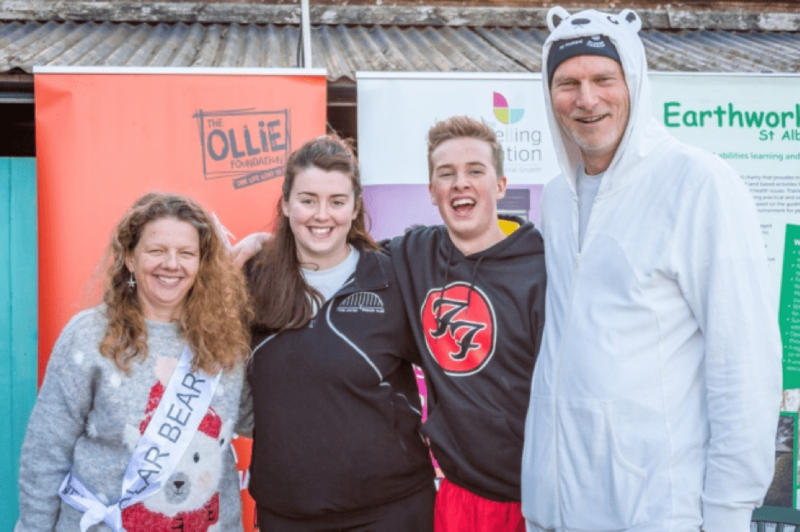 The fourth annual polar bear plunge took place on Tuesday 1st January 2019. 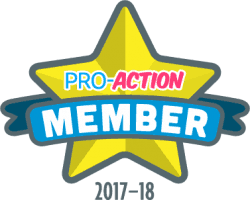 A record-breaking number of participants started the new year on high whilst raising nearly £10,000 which is to be distributed between Earthworks St Albans, The Counselling Foundation as well as OLLIE and further donations being made to charities of the plungers choice. We were so pleased to see so many people attend the event which was promoted with the help of the knitted post box toppers which were placed around the local area. The family event which was set up in 2016 by Claire Suttie and her husband Ed, boasted food, music and a fun atmosphere which was enjoyed by all. 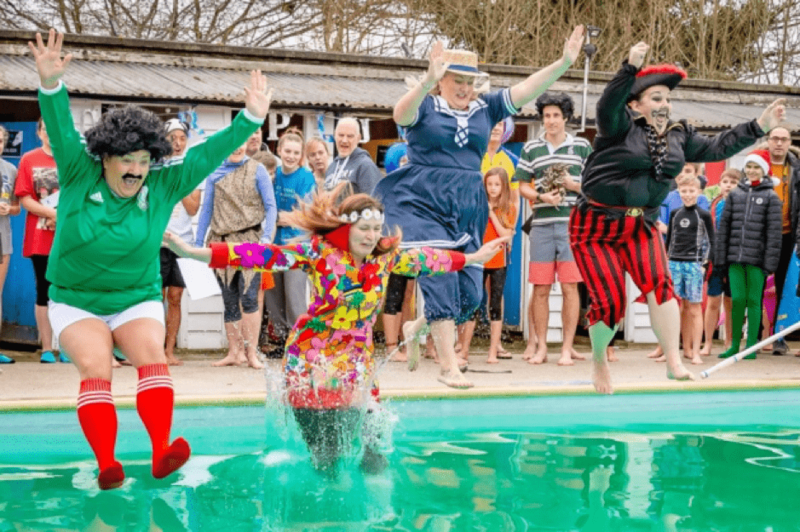 The day itself saw unusually higher temperatures for the time of year – a welcome bonus for the plungers! Some of whom donned fancy dress when taking the plunge in a bid to bring some laughter to the crowd. We thank all of you brave polar plungers and everyone who donated and helped make the event the success it was!